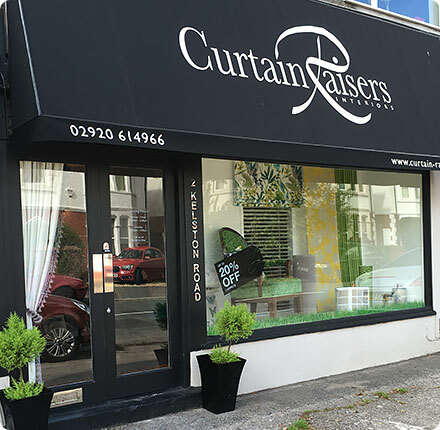 Curtain Raisers has been established since 1997 and is situated just outside of Cardiff City Centre, in Whitchurch. Here at Curtain Raisers we are all about affordable style whatever your budget. We are confident our latest collections of fabrics and helpful design advice will make sure your budget is put to excellent use. Whether you would like us to help you choose wallpaper for your hallway or looking for wonderful curtains and blinds, we can help. Founder, Janet Bezant believes the company's great reputation comes from quality handmade curtains and blinds created by local curtain makers, accompanied by our expert fitting service.